Getting the entire family’s dental needs addressed under one roof is a modern convenience everyone should be afforded. At Wintergreen Family Dentistry in Rockville, Maryland, Huixin Wang, DDS, can offer her family dentistry experience to your entire family unit. Whether it’s cavity treatment for young ones, cosmetic dentistry for teens and adults, or the routine cleanings and checkups Dr. Wang does it all. To schedule your next appointment at the office, call or use the online booking tool today. Family dentistry refers to dental care that’s suited for everyone in your family, regardless of age or dental conditions being dealt with. Dr. Wang provides family dentistry services, such as cleanings, dental hygiene education/advice, and more, that everyone from children to teens to adults need. Why look all over for a handful of dental practices to send each family member to? With a skilled family dentist like Dr. Wang, you can get your entire family the care they need in one place. What family dentistry services are provided? Dr. Wang and her team help you establish a personal dental hygiene routine that keeps your teeth healthy and white. Any questions you have about your current hygiene plan can be answered during the appointment. Oral cancer screenings are a very important part of your dental visits. With advances in modern technology, Dr. Wang and her staff can pinpoint the start of a potential problem much earlier on when it’s easiest to treat. She completes oral cancer screenings with an ultraviolet light or similar device that offers unmatched precision. Despite your best brushing and flossing efforts, there is often plaque and tartar that accumulates below your gum line. Dr. Wang and her staff clean and smooth this area with special instruments during a process called root planing. If neglected, the entire area can become irritated with bacteria. It's very important that this area is checked, particularly if you bleed during brushing. Certain lifestyle choices can have a great impact on the health of tissues and your overall health in the mouth. If you’re a smoker or heavy drinker, make sure to get regular screenings when you visit the dentist. Getting everyone in your family to see the dentist can be a hassle. It can often mean coordinating different schedules for each family members, contacting multiple dental offices, and driving all over town. One of the main benefits of family dentistry is the ability to have everyone in your family receive high-quality dental care under one roof. 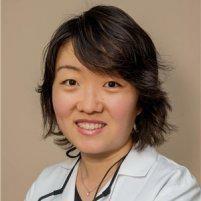 Dr. Wang is uniquely qualified to take care of each generation of your family at Wintergreen Family Dental. This level of convenience, coupled with the expertise offered at the practice, makes family dentistry the best choice for you and your family. 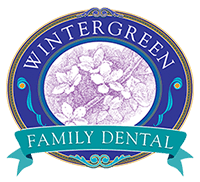 To schedule your next appointment at Wintergreen Family Dental, call or use the online booking tool today.